The 17th-century master sculptor and architect Gianlorenzo Bernini was a practitioner of Ignatius Loyola’s Spiritual Exercises. Italy led Europe as the creator and illuminator of the arts in the 17th century. This was an age of recovery for the Catholic Church that inspired great artists to express their faith in painting, architecture, and stone. The greatest of these artists was Gianlorenzo Bernini. Bernini created the Baroque style of sculpture. His long and productive life meant that he was able to carry out his vision over decades of work. Bernini’s artistic accomplishments include the Fountain of the Four Rivers in Rome’s Piazza Navona, the Vatican Colonnade in front of St. Peter’s Basilica, and the exquisite rendition of The Ecstasy of St. Teresa. Bernini was very close to members of the Society of Jesus, and he took his Catholic faith seriously. 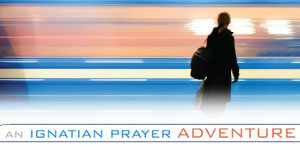 He made the Spiritual Exercises a number of times and committed his life to Ignatian principles. Bernini carried a copy of the Spiritual Exercises with him every day. He attended Mass daily at the Jesuit Church of the Gesu. 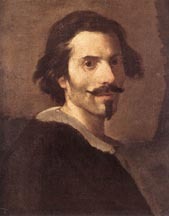 After some wild years as a young man, Bernini married Caterina Tezio and with her raised 11 children. By the time he died at the age of 81, he had served eight popes and left an indelible artistic contribution in sculptures and buildings in Rome that inspired generations that followed.